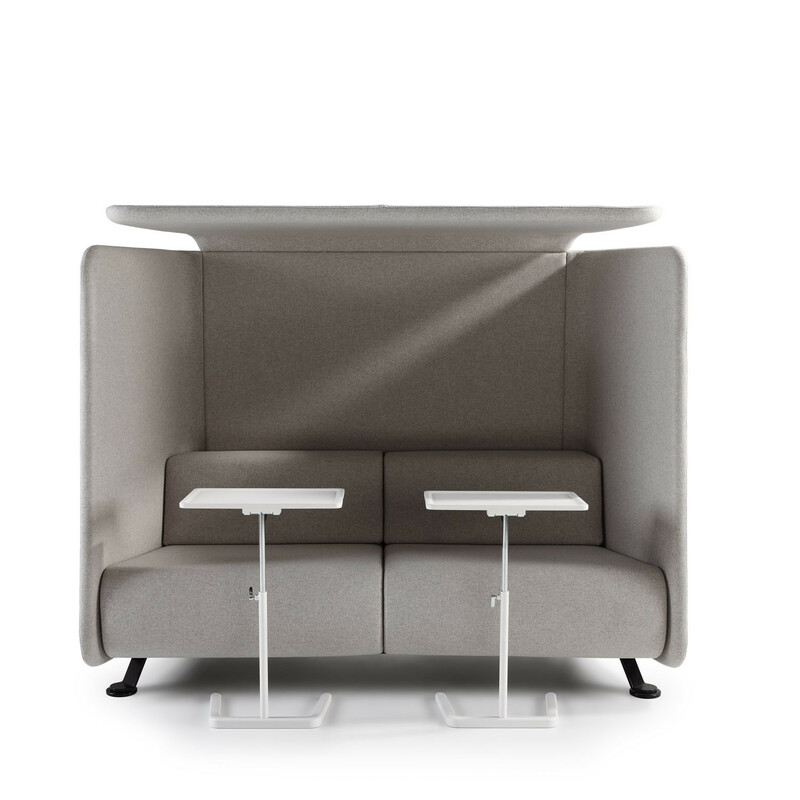 PROOFF #004 Niche Sofa offers a comfortable private space within the modern open plan office and breakout areas. 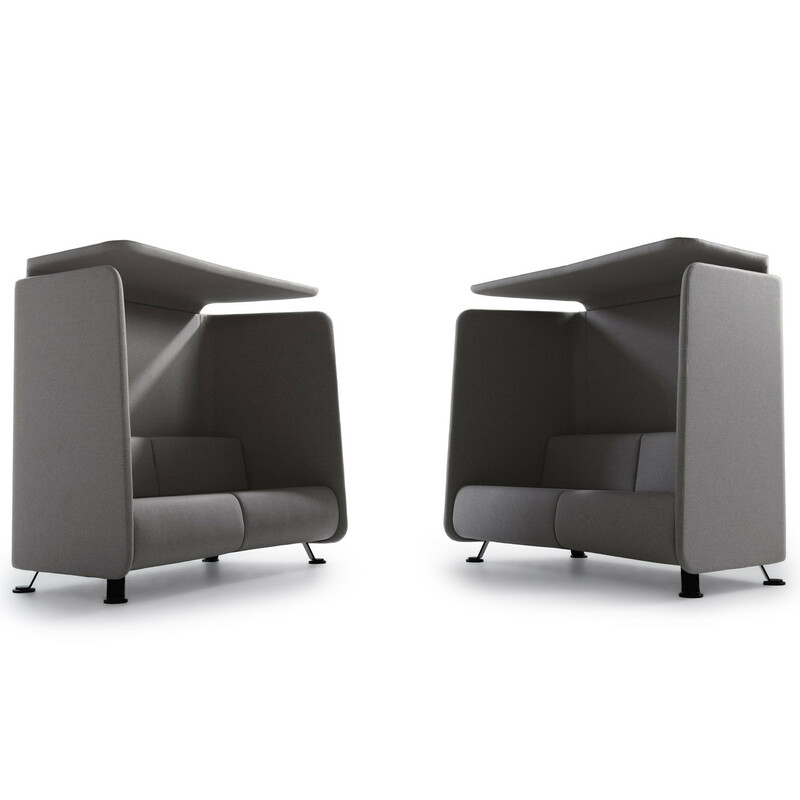 The Niche acoustic high back sofa provides the perfect environment for meetings with colleagues, clients or acquaintances, as well as for making semi-private phone calls. 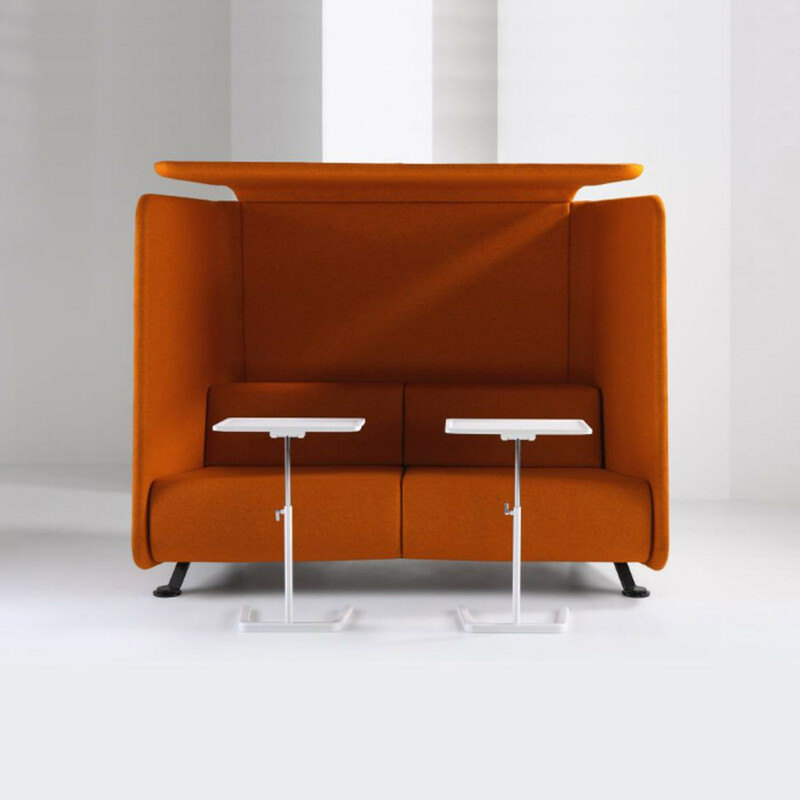 The creation of Axia Design, #004 Niche Sofa was inspired by the object of a ‘sheath’ or ‘enveloping structure’ which allows the user to immerse oneself in total concentration within an open public space. 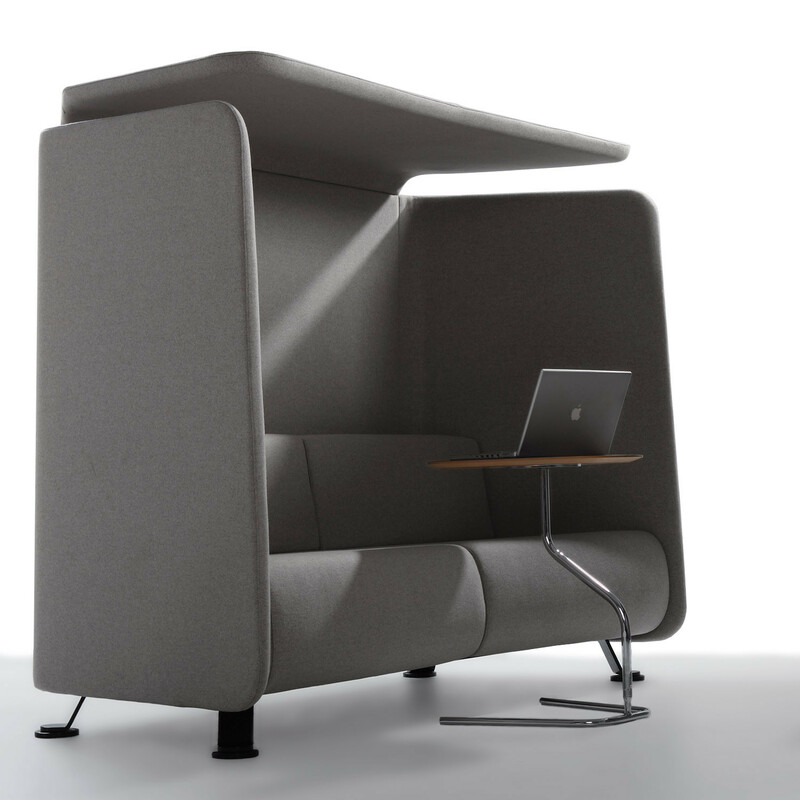 A modern soft seating piece, Niche easily adapts to any environment in which it is placed, and facilitates agile working, especially when used in combination with mobile laptop tables. 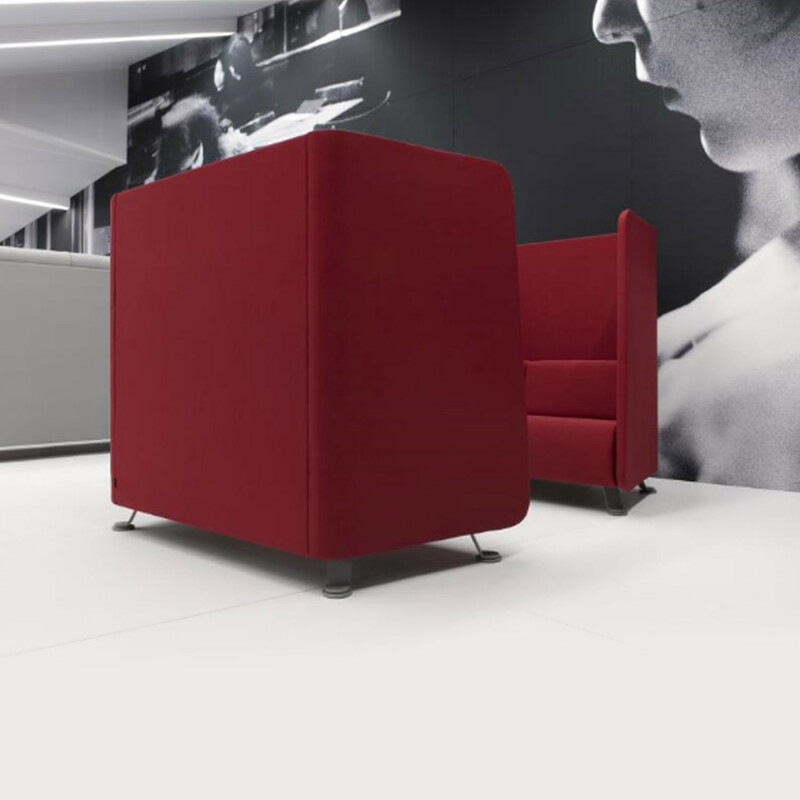 Niche High Back Sofa can be upholstered in a variety of fabrics and colour options, so it can blend into or contrast with your existing interiors. You can also choose whether to have the roof or not. The roof is fitted with two LED lights and there is a power socket integrated into the design. 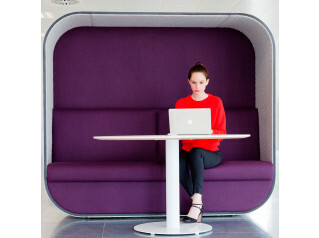 An upholstered armrest can function as a writing tablet when inverted. 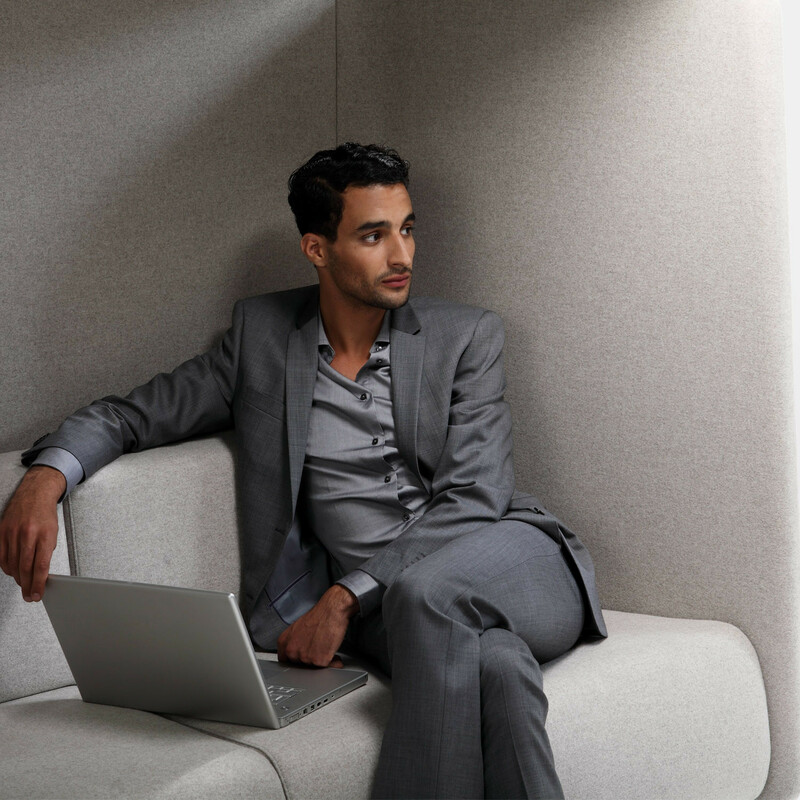 Create your own niche space in the office. Make it yours. You are requesting a price for the "Niche Sofa"
To create a new project and add "Niche Sofa" to it please click the button below. 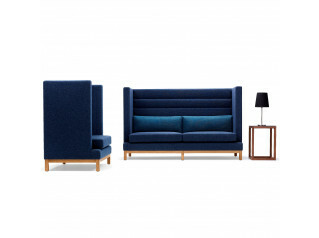 To add "Niche Sofa" to an existing project please select below.